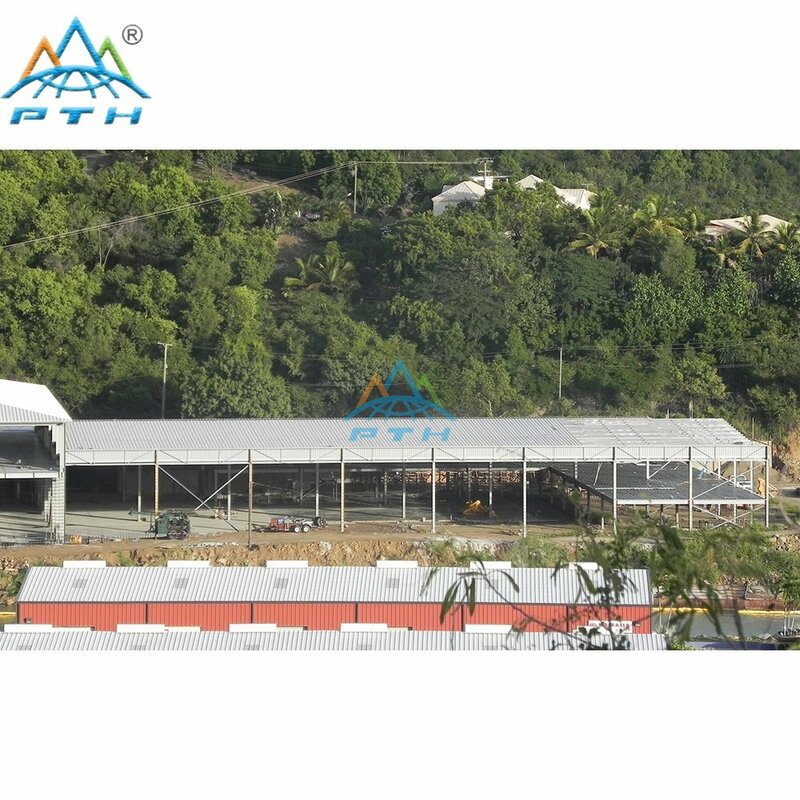 Specialist structural steel manufacture, PTH, has supported the construction of a distributing center in virgin island through supplying its 4s service: consulting&design service, shipment service, erection guide service, and after-sales support. Used for logistics & warehousing, the size of the whole project is over 10,000 sq.m, it is the most large-scale distributing center in the local place that offer PTH great opportunity for demonstrating their skill and performance. 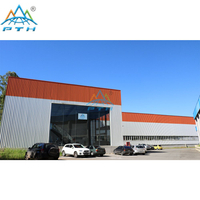 PTH team of experienced designers take space usage into fully consideration that the functiona area like office and parking lot are allocated besides the main storage area. 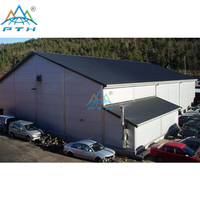 Specifically, parking lot is of high strength of 500kg/sq.m floor load capacity to meet daily requirement, by building on a combination of 1mm galvanized pressed steel plate + 3 inch concrete floor. 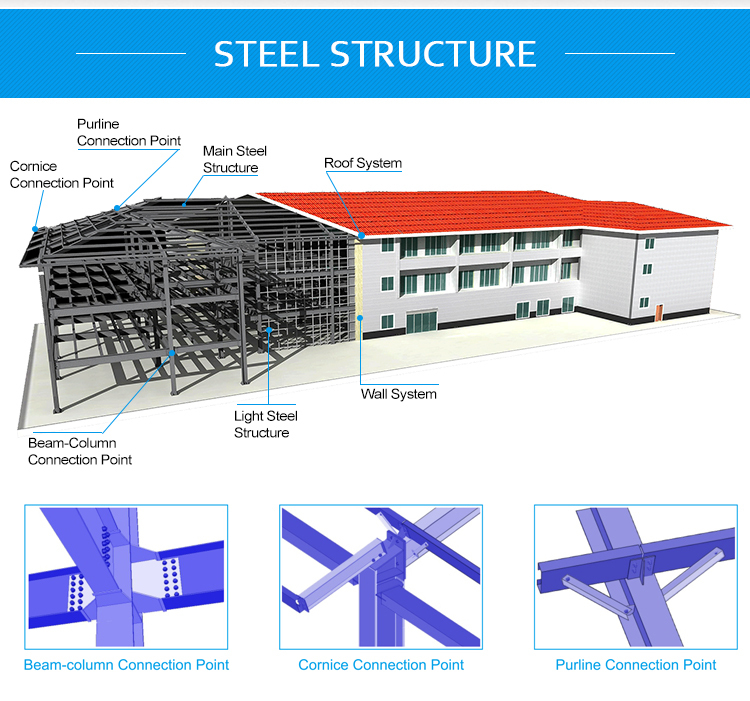 As to the advantage of this steel structure building, Zhang Yifeng, a professional who charges of structural design, says:"We ensure that our systems are designed to provide optimum levels of structural performance in space ultilization, steel quantity, and stability, we always want to provide customer with a cost-effective solution". 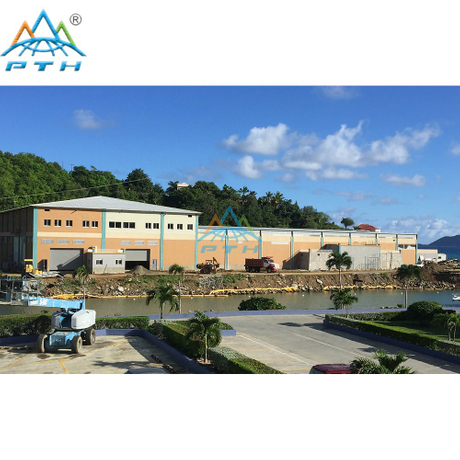 PTH choose Q345 rather than Q235 as the main material because it is much better in the strength and the use of the steel. The outer wall is built of the brick to give a stylish look. 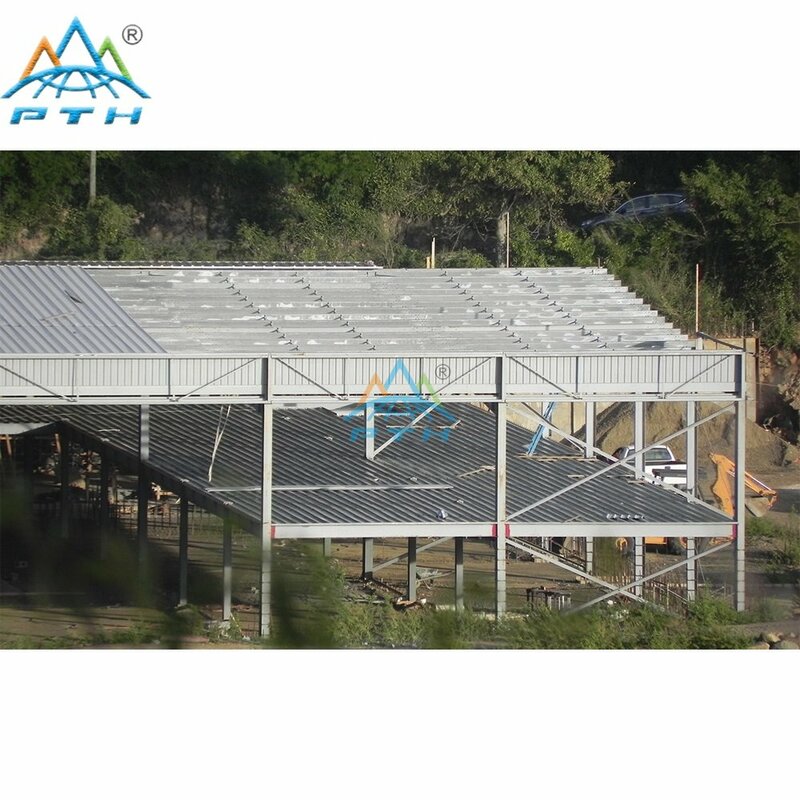 The office section is coverd with 4 slope roof with skylight panel, 4 slope roof is a comparatively complicated part of this steel structure building, particularly in the stage of manufacturing, PTH team of technicians take much more time working with attitude to ensure positionning accuracy. 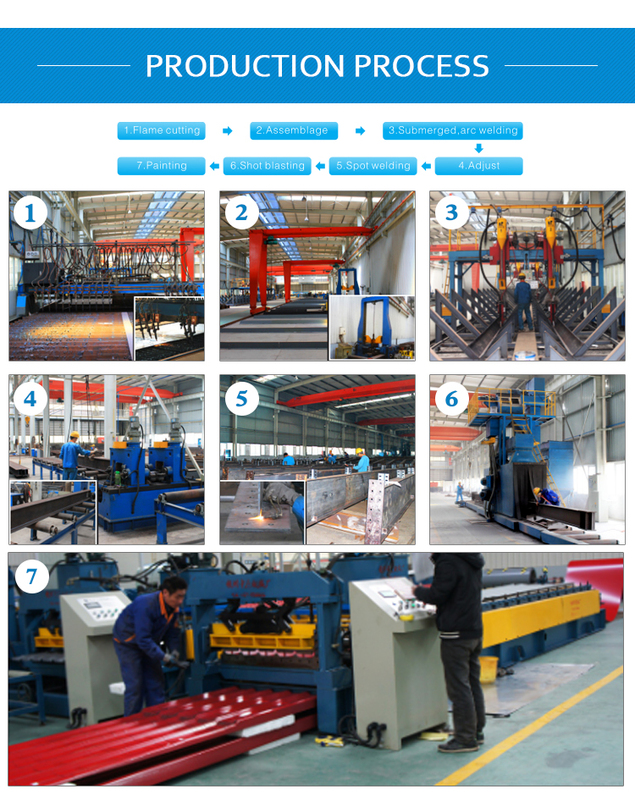 In conventional installation process, welding is a hard job for local unskilled workers, in such a circumstance, the stability and quality of the building can not be guaranteed, in this project, PTH improve the installation efficiency and accuracy by using high strength bolt connection between parts and pieces which allows for being quick in action for local workers. 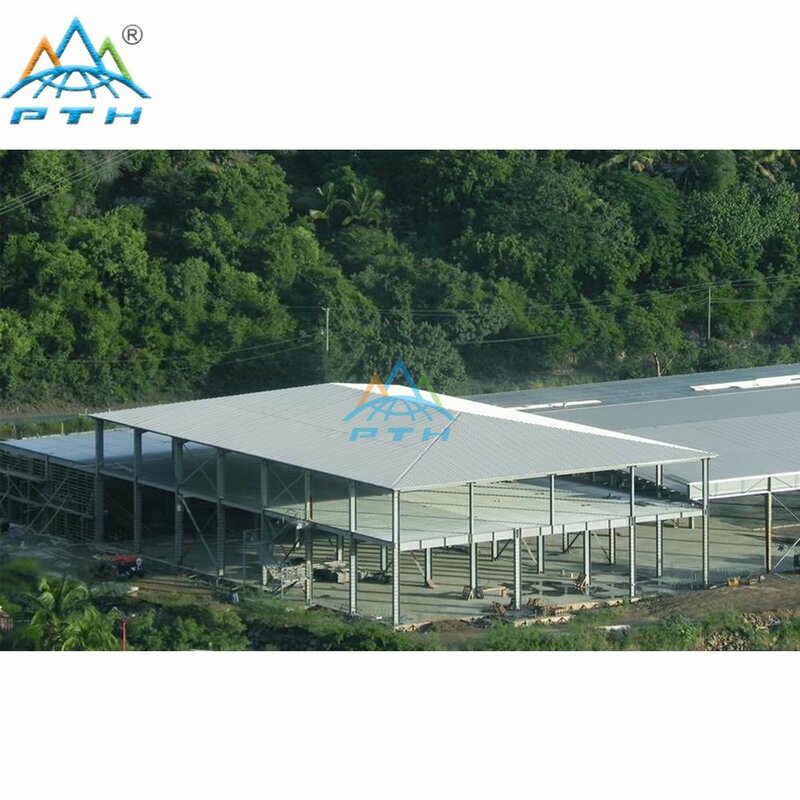 PTH can perfectly combine the traditional steel structure building with light steel building, This combination can be used as multi-story hotel, department, office building etc, This kind of building has many advantages, such as large span, Low demand of base structure, seismic and wind resistance,fast to build and easy to maintain and so on. 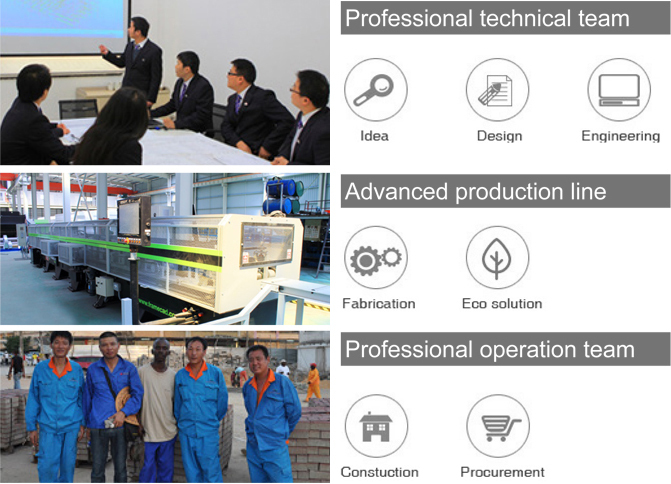 It can be built on many special places such as mountain, beaches and land with bad condition. We can also prefabricate the wall system and roof system for our clients so that it will shorten the construction period. 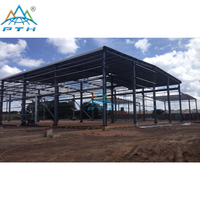 The steel structure can be packed in one package, and it is easy to upload, download and stack in the site. 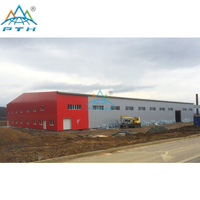 PTH's single-story steel structure building is widely used as workshop, warehouse, shopping mall etc. 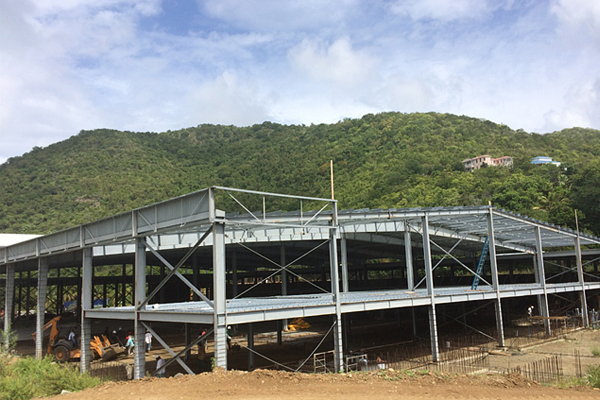 Compared with the traditional concrete building, steel structure building has many advantages, such as large span,low demand of base structure,Seismic and wind resistance, fast to build and easy to maintain and so on, Currently, our single-story steel buildings have been sold to more than 100 countries all over the world, such as Brazil, South, Africa, Dubai, Norway etc. 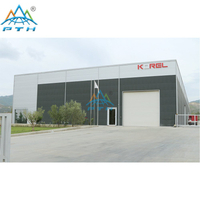 The walls of the steel structure building are also flexible, You can choose colored steel plate or EPS/PU/XPS sandwich panel as your wall system, Our products can be packed in one package, and it is easy to upload, download and stack on the site. 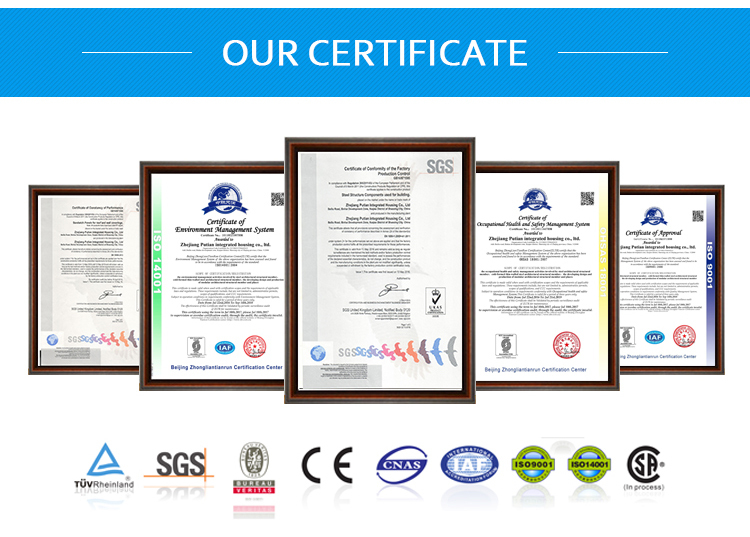 100mm rippled sandwich panel, 100mm rock wool sandwich panel. 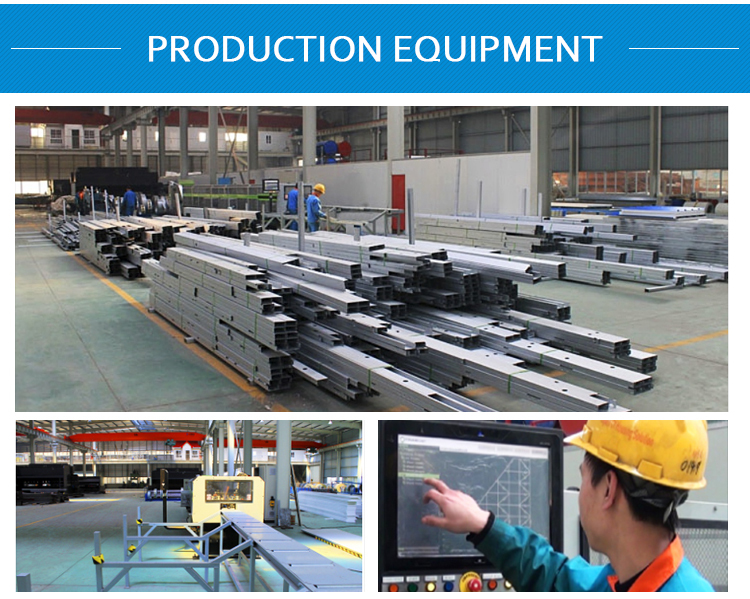 We produce wall beam and purline, all members galvanized. 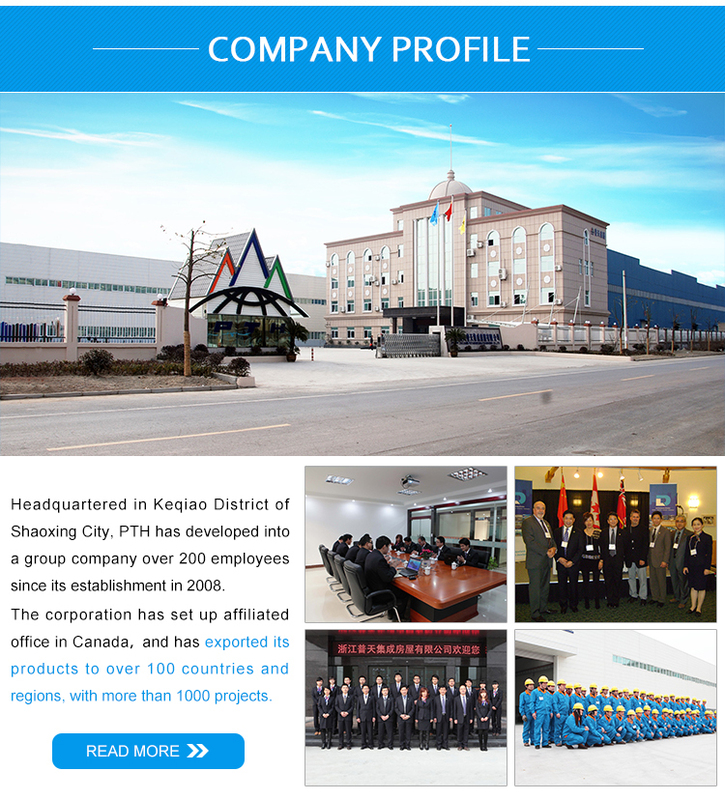 Our factory is located in Shaoxing, Zhejiang, China; 25minutes from the Hangzhou International Airport 790minutes from Shanghai& Ningbo City. 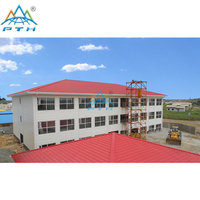 Zhejiang Putian Integrated Housing Co., Ltd. 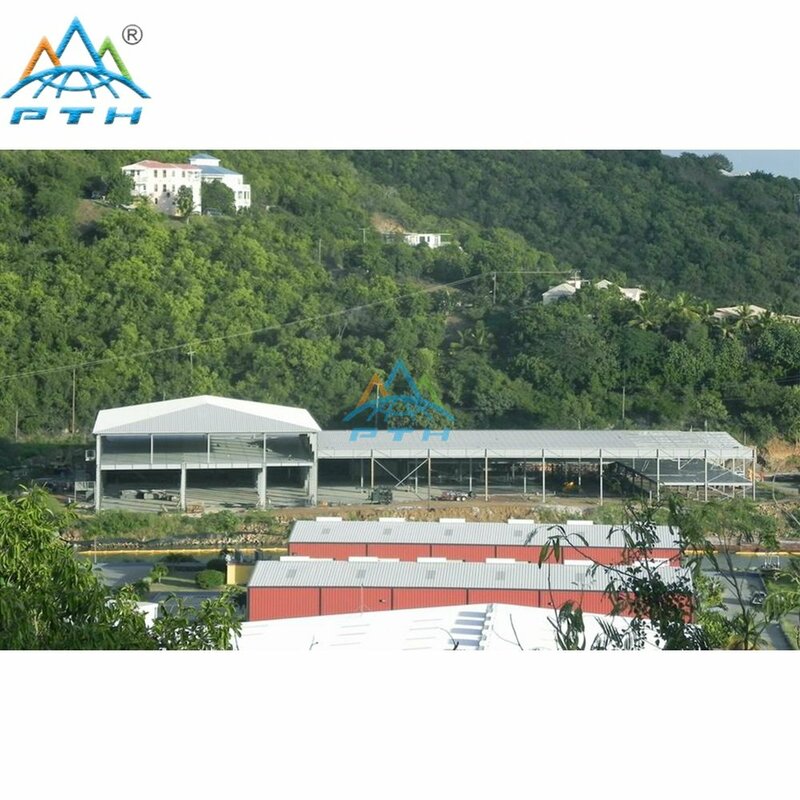 Established in 2003, PTH is a leader in the Steel Structure industry.Certified by CE, BV IFA&ISO9001, We can design and manufacture all types of Steel Structure houses or buildings to suit your personal or business needs.We offer project support on any, or all phases of the steel design and detailing based on your project requirements. 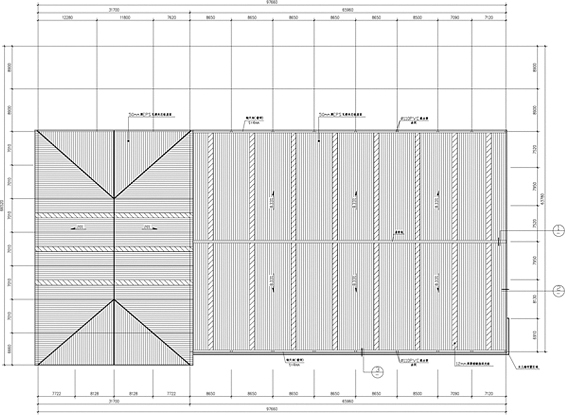 Providing consultation and delivery of a full range of steel structure design projects has recently opened retail showrooms in Toronto, Canada& Bahrain and plan to expand into Australia, Europe, South Africa, Russia and the Middle East with many more countries to follow.Our 4S retail showrooms feature a full-service network including pre-sale consulting&design services,sales&shipment services, installation guidance services and most importantly after-sales customer support service. Salesman will confirm the time accordingly, large order should communicate with order management department in advance. Normally, delivery time is 45days after receiving deposit. Large order delivery time should be arranged separately. a. quality of the design: think about possible problems in advance and provide a high-quality design solution. Cold region: increase the thickness of the wall, or use good insulation material, improve the anti-pressure ability of the structure.